The movements of the face are controlled and coordinated by a nerve known as “the facial nerve” this nerve connects the brain with the muscles of the face and sends the signals to them to contract and move the face. The facial nerve can be damaged by many causes and results in what can be a physically and socially devastating paralysis of the face. 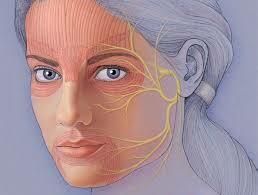 People with facial nerve damage lose the ability to move the affected muscles. This can be damage to small branches resulting in a small area of paralysis such as just the eyebrow or lower lip, or can involve the entire nerve resulting in a paralyzed side of the face. The paralysis of these muscles can be quite debilitating affecting social interactions and altering the ability to show facial expressions. It can also impact on eye function and the ability to blink, breathing through the affected side of the nose and difficulties with eating, speaking and oral continence leading to dribbling. There are many surgical procedures that are able to help with function after facial nerve injury aimed at protecting vital functions, improving vision, breathing, speech and eating and improving static appearance and also the possibility of restoring movement to previously paralyzed areas. 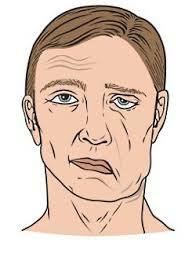 When the facial nerve is damaged there is paralysis of the muscles on that side of the face.